The Ithaca Motel heritage restoration at 110 Adelaide Street Busselton, formerly known as Villa Carlotta from the 1950’s, is a significant and well known south-west landmark due to the heritage building’s history as a convent boarding and day school. The dilapidated heritage building was allocated a heritage grant by the State Heritage Office as a result of the Perth heritage architect’s submission of a heritage grant application. 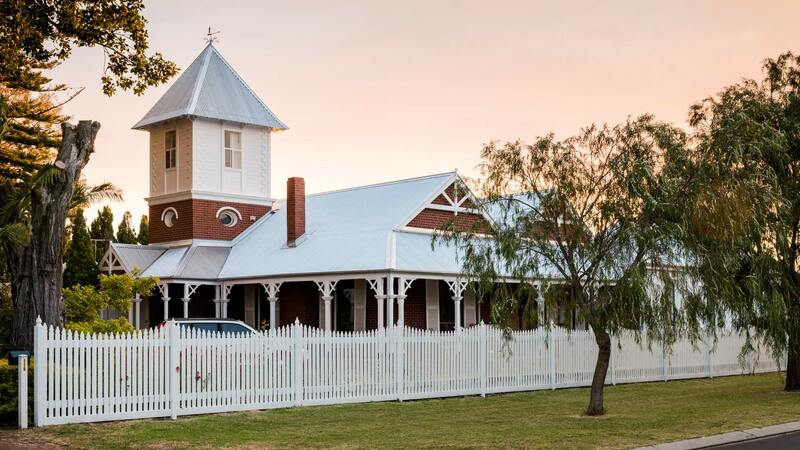 The heritage restoration internal and external conservation works were administered by Perth heritage architect, Threadgold Architecture, in close association with the south-west structural engineers and the State Heritage Office, as the heritage grant conditions stipulate. 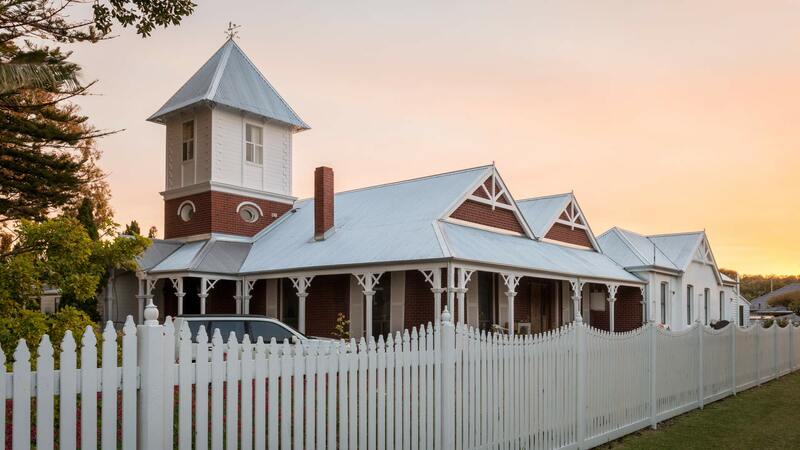 The Perth heritage architect was responsible for State Heritage Office approvals, contract documentation and administration of the heritage restoration works as guided by the principles of the Burra Charter and State Heritage Office protocols. 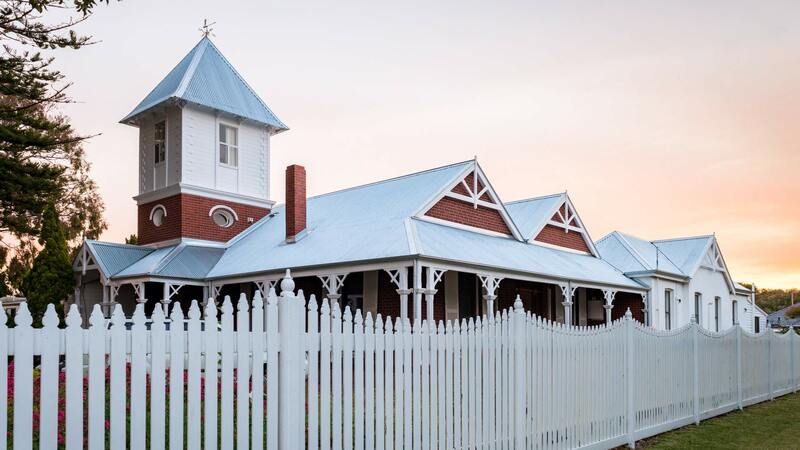 As a consequence of the significant amount of state funding as a result of a successful heritage grant application, the State Heritage Office appointed the Perth heritage architect to supervise the heritage restoration works via the ABIC Lump Sum building contract. The scope and extent of building works to the heritage building followed the order and priority identified within the Perth heritage architect’s Conservation Management Strategy and included complete replacement of the layers of sheet metal roof, the entire reinstatement of the timber verandah to the north and east heritage building’s perimeter, re-stumping the full extent of the heritage building’s ground floor, refurbishment of the wet areas, re-tuckpointing the majority of the existing brickwork and a variety of minor works. The heritage restoration project outcomes included the sensitively conserved tower exterior cladding and roof sheeting including the creation of a new short-term stay accommodation to the tower, reconstruction of street elevation gables which greatly improves the building’s presence and streetscape, refurbishment of thirteen bathrooms which significantly increases the building’s amenity and a convincing enhancement to the external and internal fabric to produce revitalised heritage building.